The PDF format is an important document type in business. It is used for everything from brochures and flyers, to official contracts and proposal. Given how important this file format is, you might be wondering how to create PDF file? Often, you need a PDF tool like Adobe Acrobat to do this. Or you can use the affordable alternative, PDFelement, to create new PDF files quickly and easily. Launch PDFelement. Click on the "Create PDF" option in the "Home" tab. 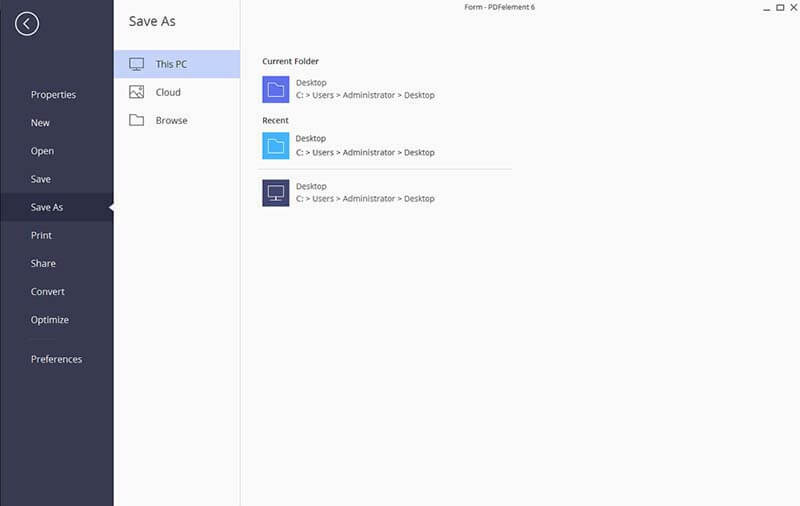 Browse and select the file you want to turn into a PDF, and click the "Open" button to start the creation process. 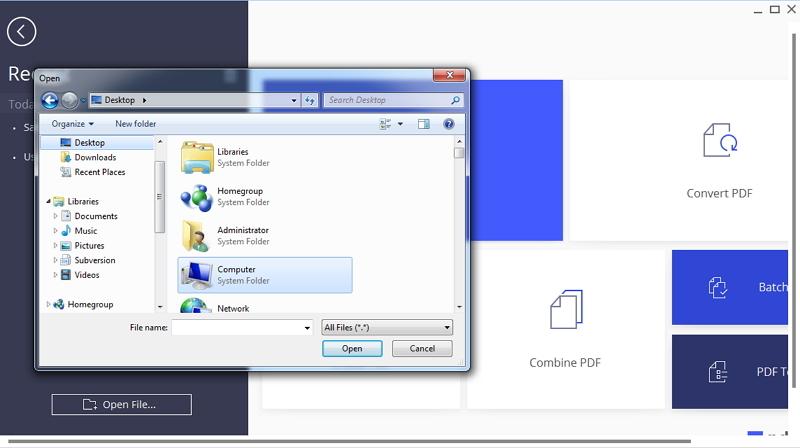 If you want to create a PDF from a word document, select a word document from your local drive and open. It will be converted to a PDF file and opened in PDFelement directly. Here are more details to change word to PDF. Images can also be created as PDFs. Browse and select an image file to open in PDFelement. It will be converted to a PDF document. Find more detailed steps to convert an image to PDF here. PDFelement can also be used to create a PDF file from an HTML file. Find out the steps on how to Generate PDF from HTML Files. 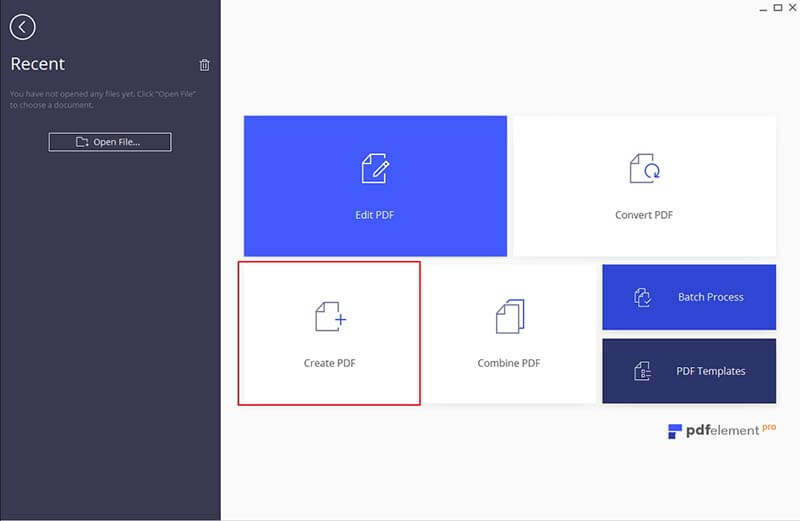 After creation, the created PDF file will be opened in PDFelement, and you can click the "Edit" button to edit PDF easily. Don't forget to save the file by clicking the "Save As" button that appears when choosing "File". Files can be renamed and saved to any location on your computer. PDFelement is equipped with professional tools that have changed the dynamics of creating a PDF file. This tool offers greater flexibility and ease when editing PDF files compared to Adobe. PDFelement stands out in terms of performance and efficiency. PDFelement offers many useful features. Some of these include the OCR feature which makes your PDF files searchable and editable in over 20 different languages, in case you are wondering how to create an editable PDF. You can also customize color, size, and font of the document as required, and convert your PDF files to Word documents and fillable forms. As well, you can secure your PDFs from unauthorized access by applying password protection, using electronic signatures, and more. 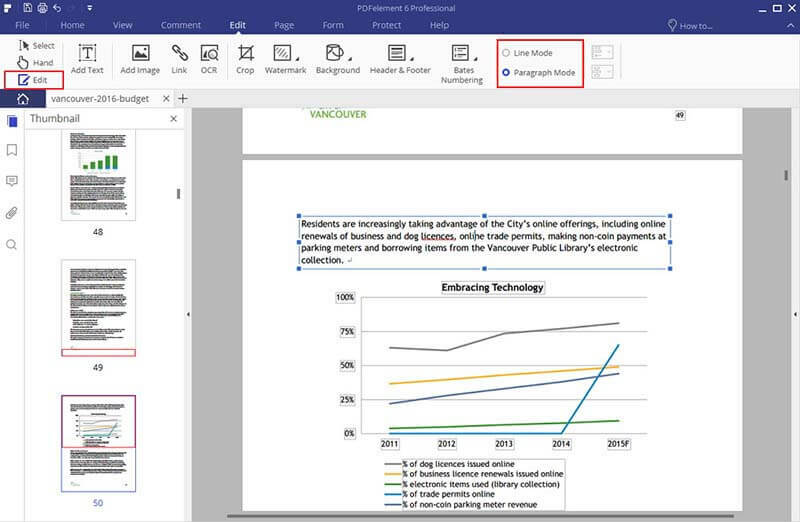 Create PDF documents seamlessly with PDFelement!